Additionally, all Magnolia Elementary School parents are asked to complete this document so that we can communicate via email with upcoming events, activities, fundraisers, picture dates, programs, etc. This will be your official membership in the MES PTO. This will also provide us with your child's shirt size. This year, all students at MES will be receiving a FREE MES Spirit Shirt from the PTO and our local sponsors. We are requiring this form to be completed in order to get your child's shirt size correct. Follow us on Facebook and stay up to date! MES PTO would like to thank our Shirt Sponsors! Thanks to their generous donations, we were able to provide shirts to all of our students, teachers and staff members at no cost. Rancho Grande, Carswell Real Estate, Heritage Properties, Jordan Concrete, JRI Memorial Foundation, Magnolia Parkway Storage, Scott Drilling, Tacker Bros., and Texas Renaissance Festival. 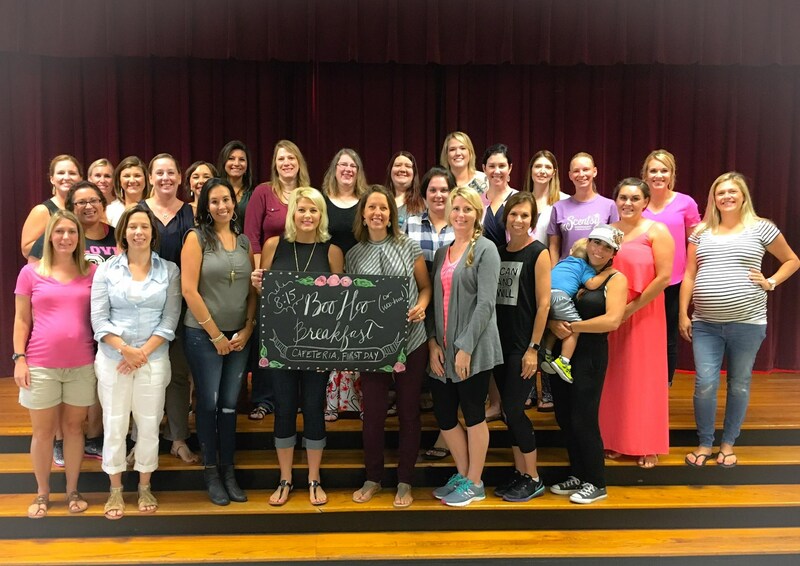 MES PTO Boo Hoo Breakfast 2016 was a hit!